A bear this cute is totally worth sharing! Add this polar bear to any status update, comment, or message on Facebook. With its sweet expression, this bear is sure to charm your friends. 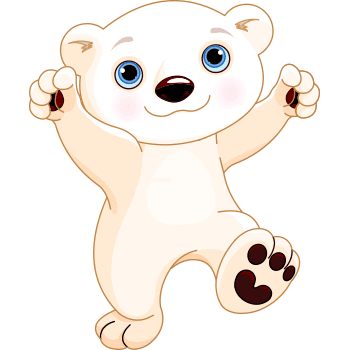 If you think your news feed you use more cuteness, this is the polar bear for you.